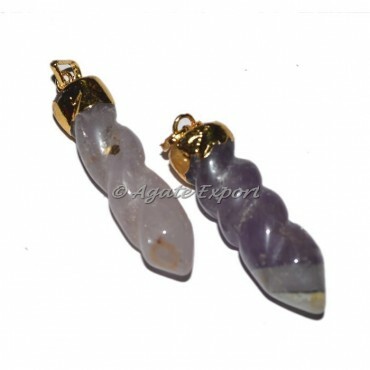 Divine pencil pendant made by healing properties of amethyst crystal. This pendant is highly beneficial in activating the crown chakra. Moreover, It also helps in purifying the mind and clearing it of negative thoughts. To place a special order contact directly.